The app was custom developed to allow registered users to learn more about the plans and products offered by Slim and Lite, manage their health profile. 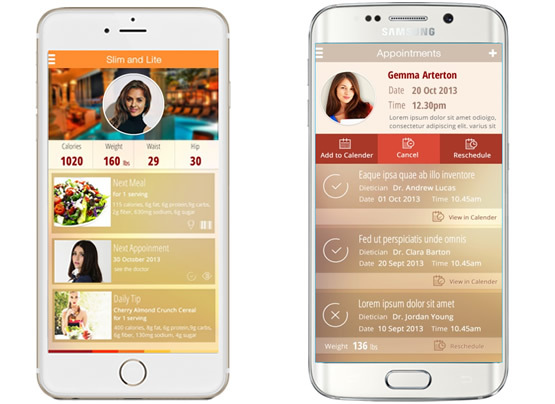 The Slim and Lite Mobile app was commissioned by Slim and Lite Health and Diet Food Center, a member of National Catering Company. Slim'n Lite provides tailored, healthy and tasty meals right to your doorstep and the app was custom developed to allow registered users to learn more about the plans and products offered by Slim and Lite, manage their health profile, purchase and plan their meals, use health tools to track their weight management, and also receive tailored recipes through the app. The app provides calendaring capabilities as well as mobile purchase for plans and products.